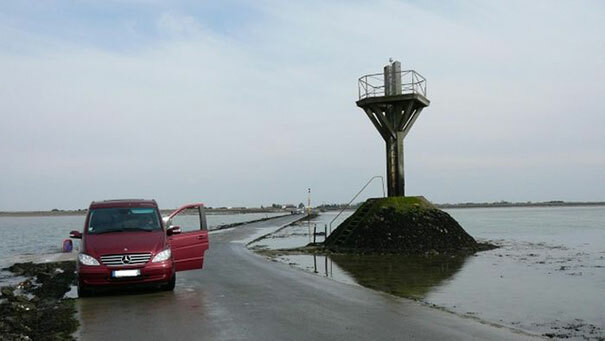 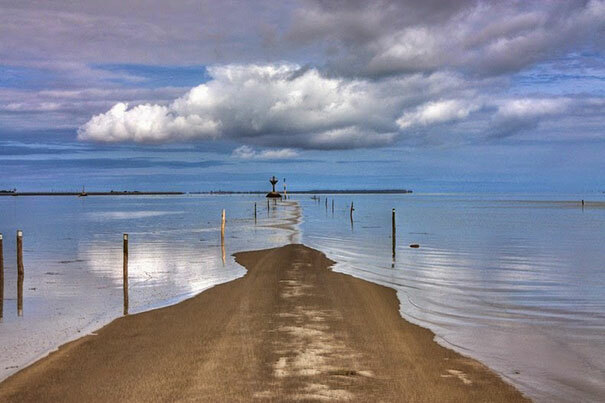 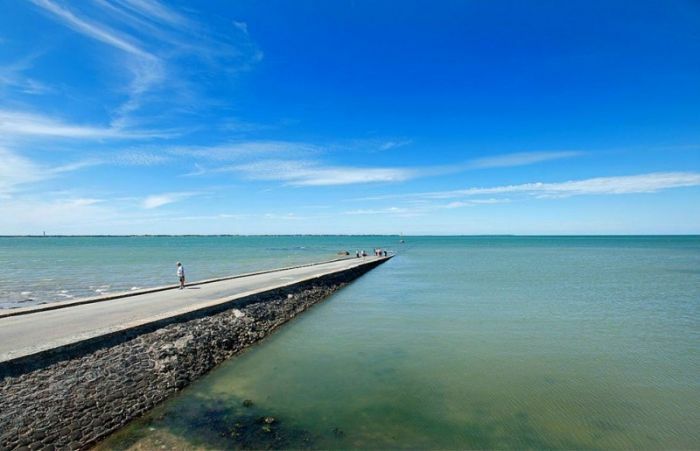 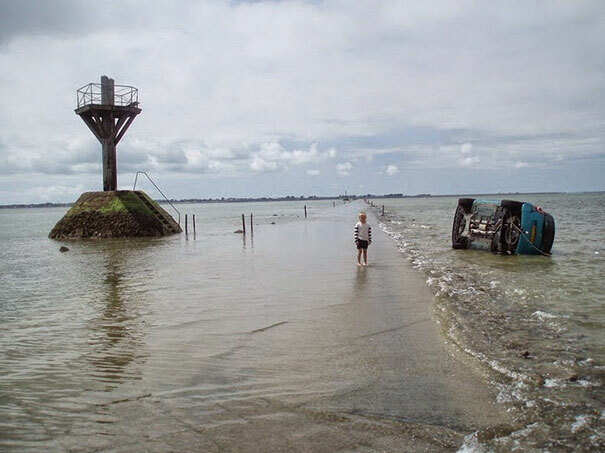 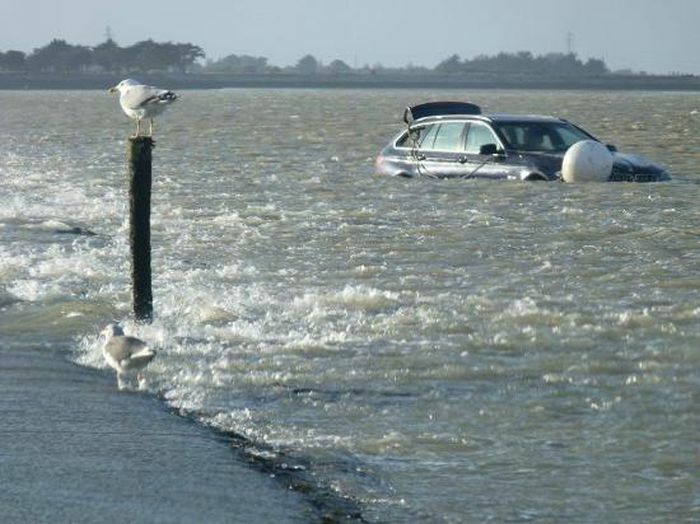 This is the Passage du Gois in France, connecting the island of Noirmoutier to the mainland in the department of Vendée. Twice a day, this roadway is flooded with 1.3 to 4 meters of water, and remains flooded for the majority of the day. 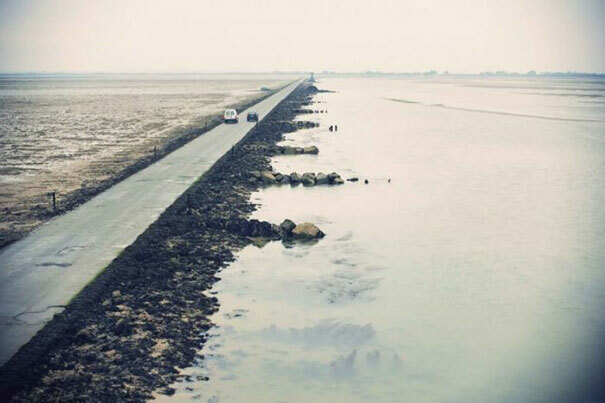 An amazing thing also happens twice a day when this 4.5 km highway becomes visible and accessible to traffic, which happens for an hour or two. 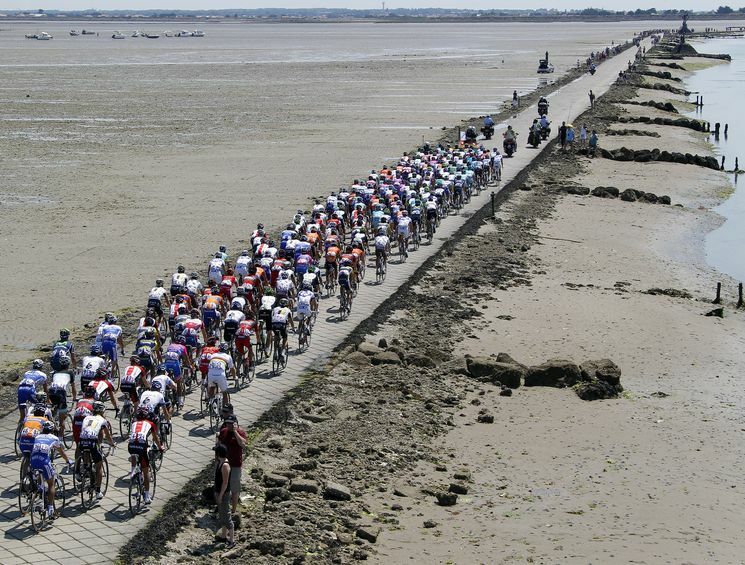 Cyclists crossing the Passage du Grois because the road for now is above water. 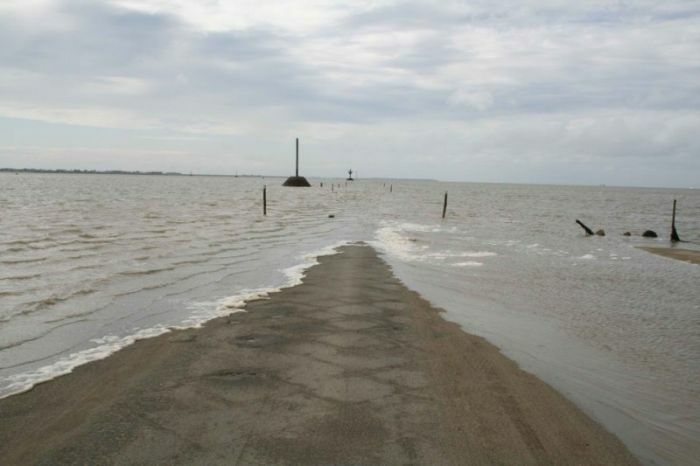 But for most hours of the day, the road is completely submerged in water. 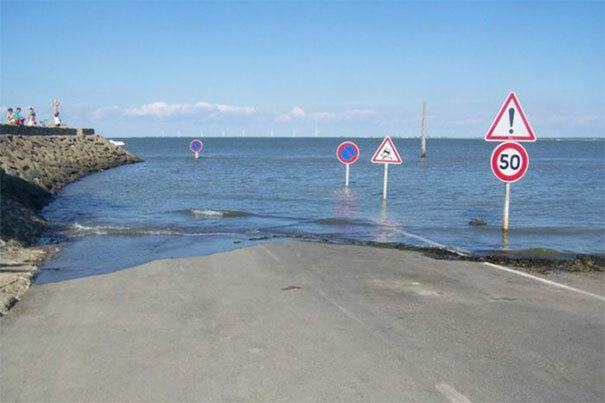 Crossing it is obviously perilous, unless you’re in a boat or a submersible vehicle. But some people just ignore the sign. 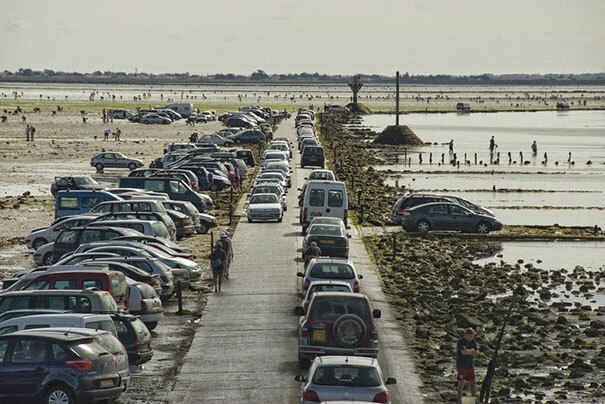 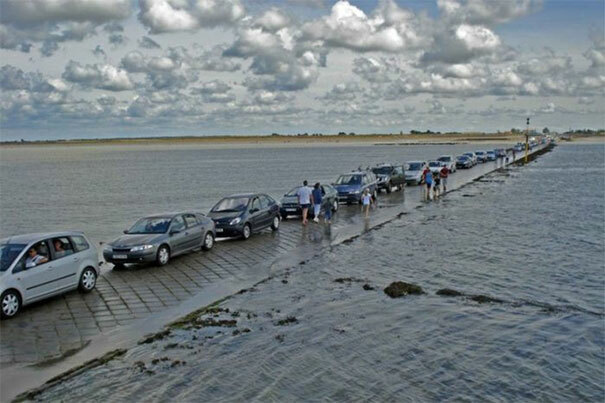 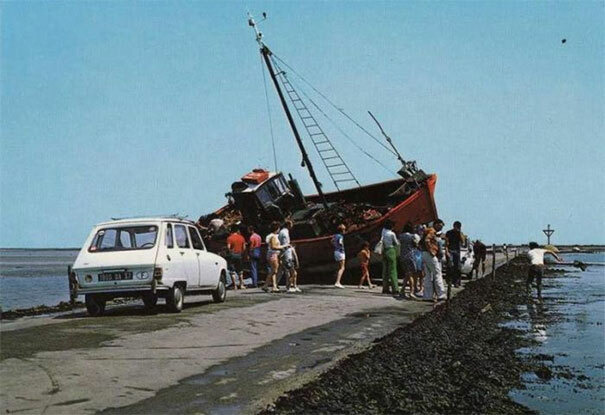 Passage du Gois attracts thousands of visitors a year to watch the twice daily amazing (or frightening ) event, resulting to a traffic jam like this. 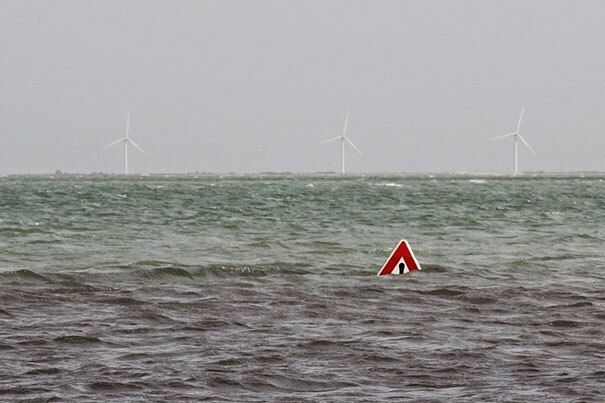 Which is, by the way, not a good place to be. 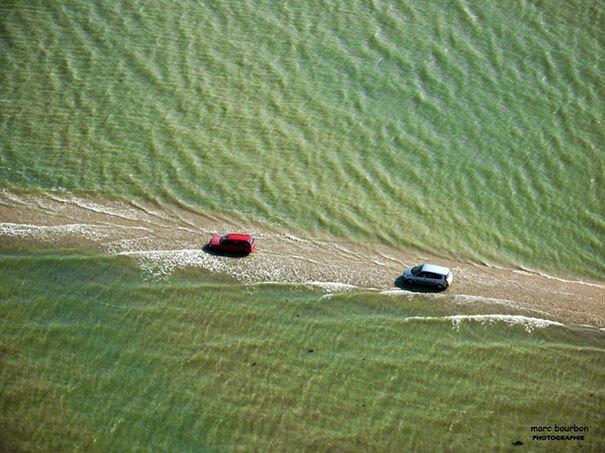 Imagine driving along this road. 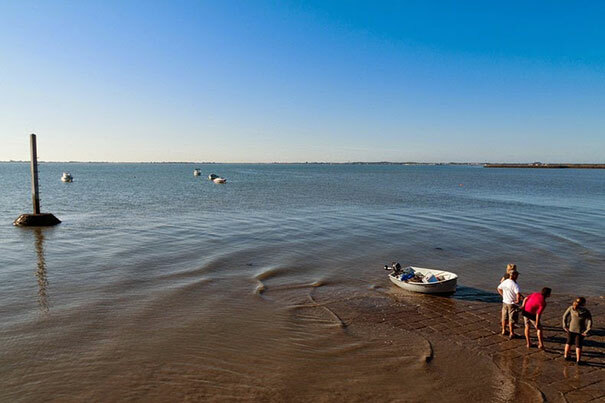 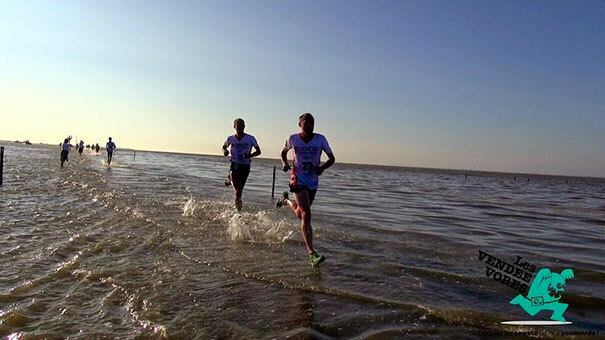 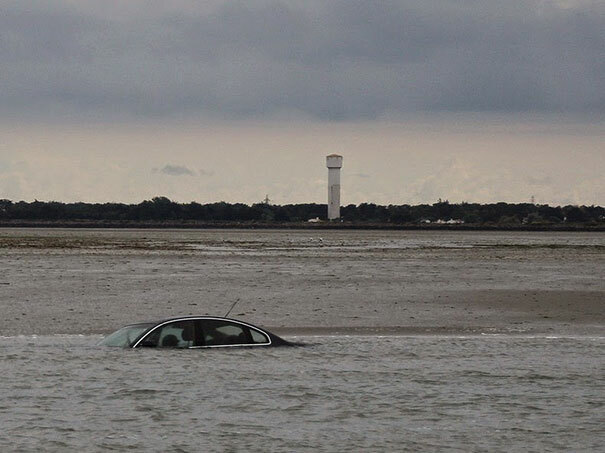 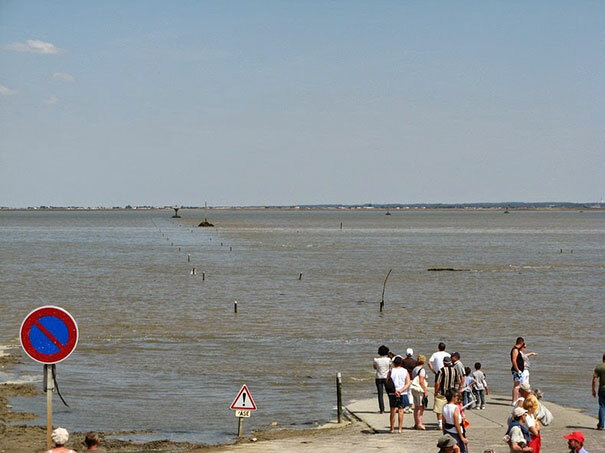 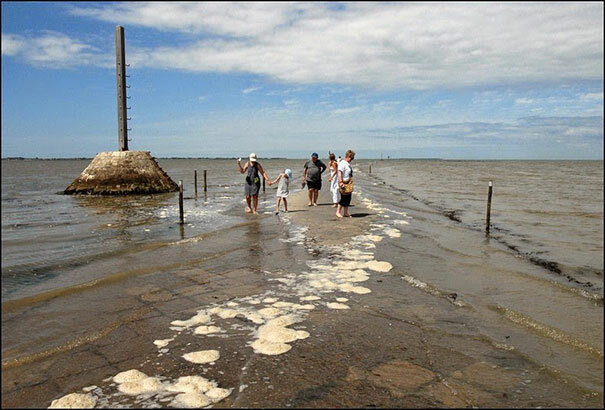 The Foulées du Gois foot race, which starts at the onset of the high tide, is held every year across it. 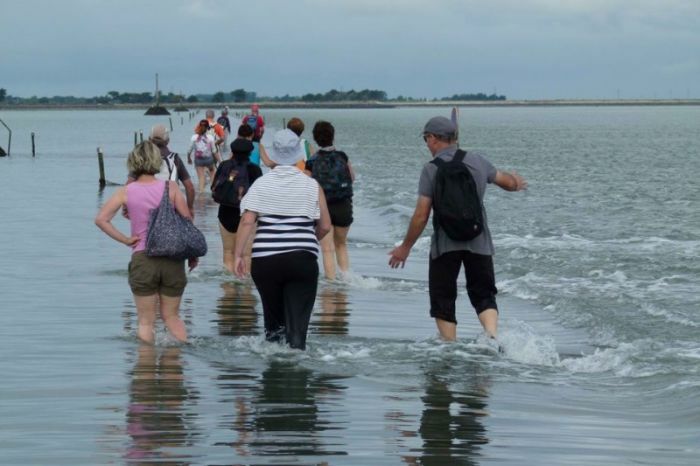 Many people also cross the Passage du Gois the old-fashioned way. Though the Passage du Grois can be dangerous, life as a commuter here is pretty exciting.